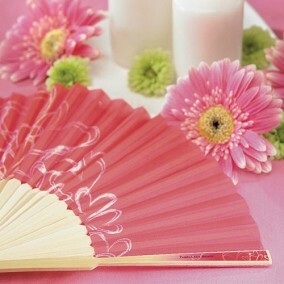 Natural hand fans with a contemporary heart print and bamboo rib can be very useful on those hot summer days. 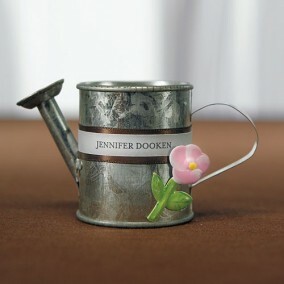 Galvanized watering cans to be filled with flowers - very nice wedding favor. 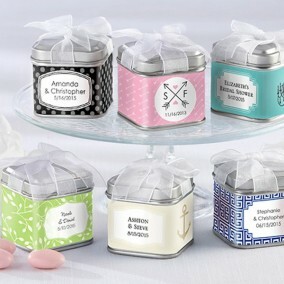 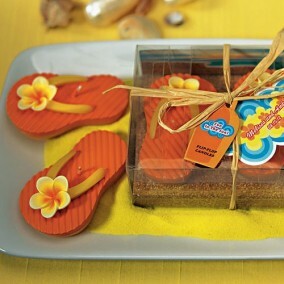 Perfect favor for wedding or baby shower. 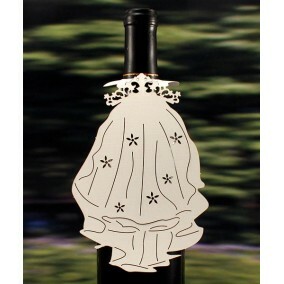 Can be decorated with ribbons and real flowers. 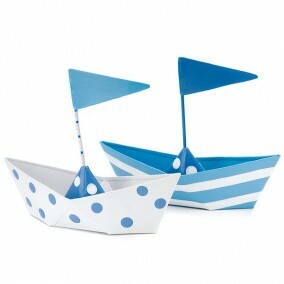 Metal boat shaped containers to hold almonds or other dragées on your party! 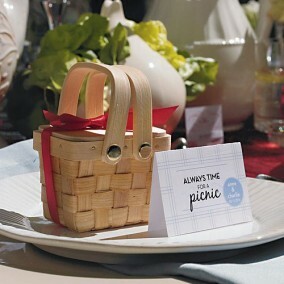 Once the treats have been eaten, these mini basket favors can be used as charming little holders for such items as paperclips, bobby pins and other knickknacks. 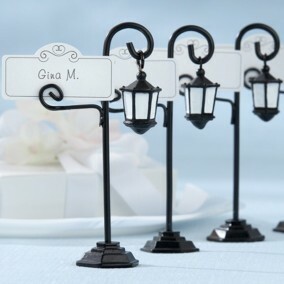 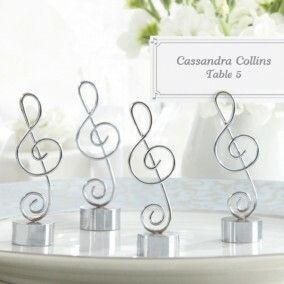 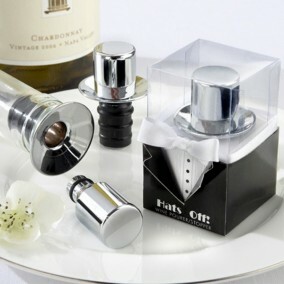 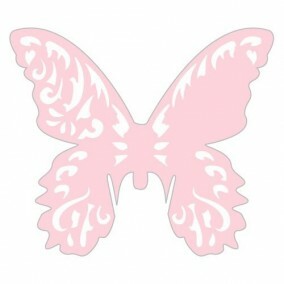 These place card holders will add a touch of glam to any wedding or anniversary party. 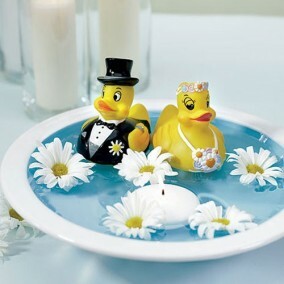 These cute bride or groom rubber ducks can be used as individual favours. 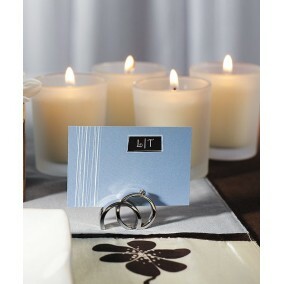 Filigree cards in two kinds of paper and different colors. 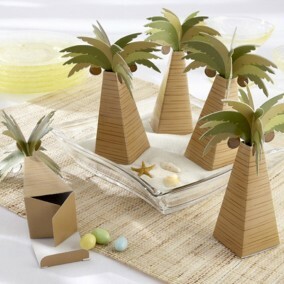 Sold in packages of 12 pcs. 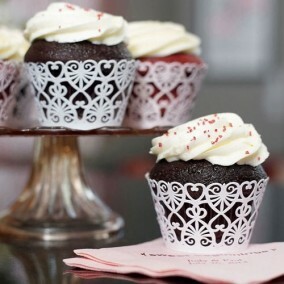 These beautifully crafted cupcake wraps featuring filigree lace hearts add a touch of class to your cupcakes. 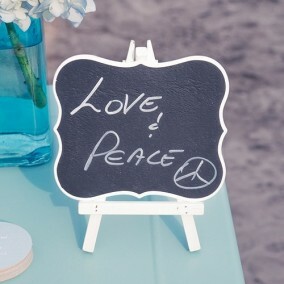 A simple way to add style! 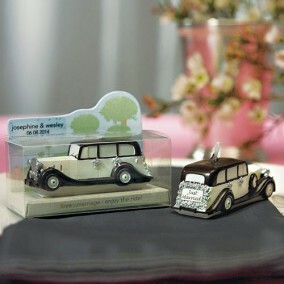 Sold in sets 2 pcs. 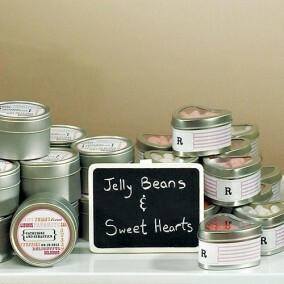 Scented. 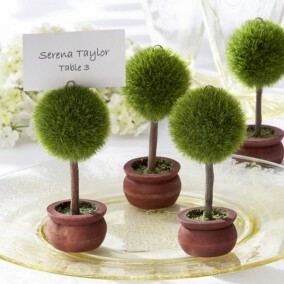 Here is a quick and easy way to make your messages stand out. 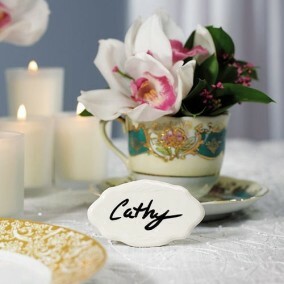 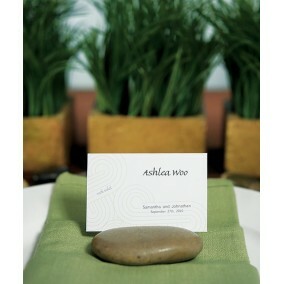 Reusable place cards, ceramic white. 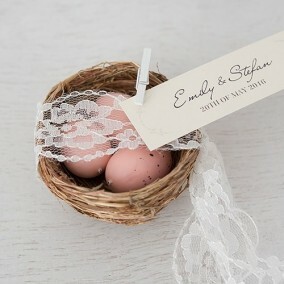 Fun take home favor your guests will adore - miniature bird's nest! 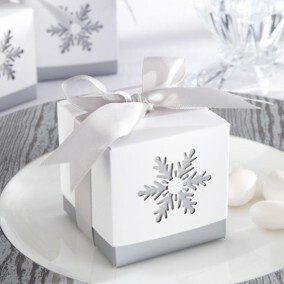 Stunning favor box with white, slip-on top, intricate, precision-cut snowflake design and silver-gray satin ribbon and bow. 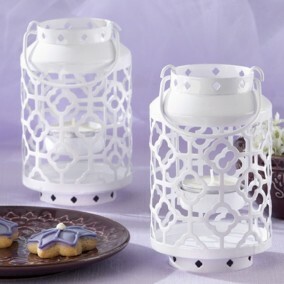 Glass jar has white-rubber gasket and metal locking device. 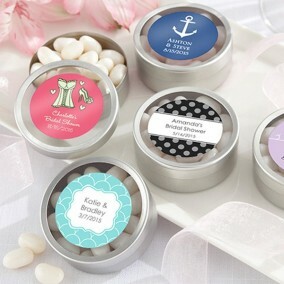 Round candy tins for wedding almonds or other sweets! 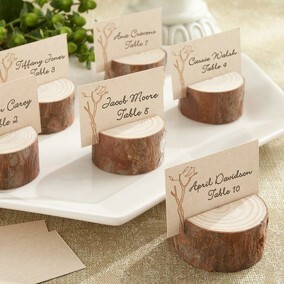 Price per pcs. 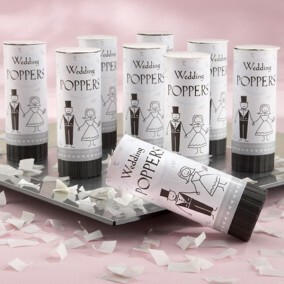 Give your wedding a special, romantic flair with thousands of small confetti that glide through the air and gently trickle towards the floor. 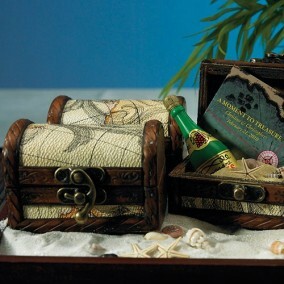 A sea of great emotions!